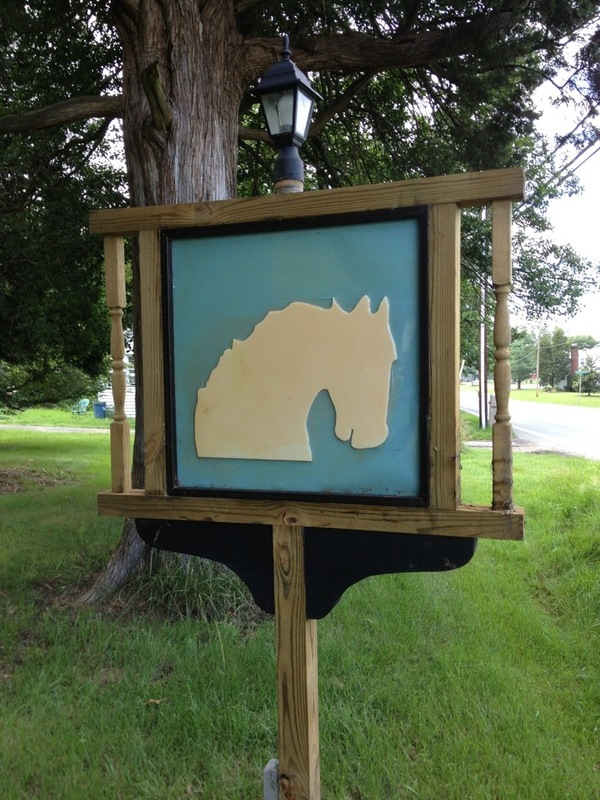 Forget the possibility of human head transplants, and say hello to a recently restored Horsehead tavern sign. 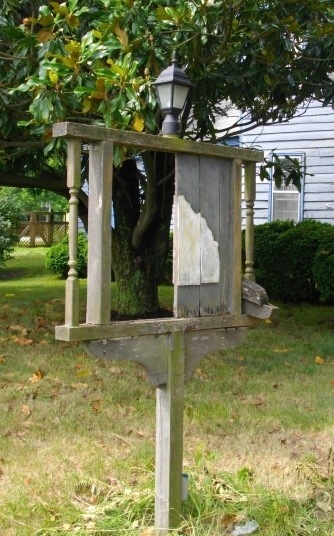 The sign outside of Horsehead Tavern, a waypoint marking one of the two possible routes Booth and Herold took between the Surratt Tavern and Dr. Mudd’s, had fallen into disrepair over the last few years and was completely missing for awhile. The new sign here at Horsehead is a bit different than the previous one. Instead of the image of the horse being painted onto planks of wood, the entire middle part of the sign seems to be made of a type of ceramic. You can view more images of Horsehead Tavern and its signs in the Horsehead Tavern Picture Gallery.